The hype with juices and juicing isn’t unwarranted. Drinking the pure juice from fruits and vegetables offers many health benefits. Regularly drinking a glass of fresh juice has been proven to aid in weight loss. It’s also a way to get in as many nutrients as possible without the bulk of eating tons of fruits or vegetables. If you’re looking to get into the trend and reap these benefits as well, investing in a good slow juicer is a great place to start. 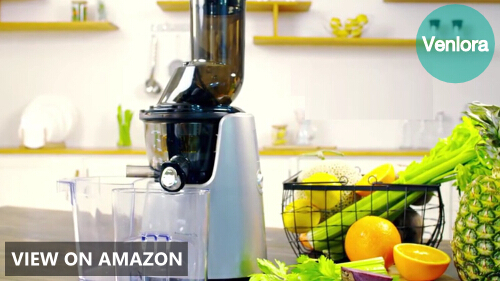 What is a slow juicer and how is it different from other juicers? Are slow juicers the same as cold press juicers? Are there certain kinds of fruits or vegetables that slow juicers can’t process? How do I use a slow juicer? How long does it take for a slow juicer to make drinks? Can I use a slow juicer to make other foods? How do I clean a slow juicer? Also called a masticating juicer, a slow juicer is a particular type of juicer which works by ‘chewing’ the fiber of the fruit or vegetable. It extracts the juice with the help of some filter. 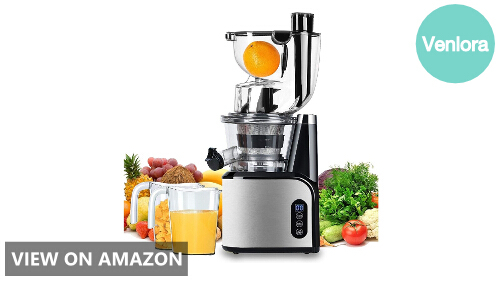 In contrast with the other popular type of juicers, centrifugal and fast juicers, slow juicers are said to produce more nutrient-rich juices and operate more quietly. What more, these juicers will also give you about 20% more juice than the other types. Yes. Different terms for the same product. These juicers are designed to extract juice with as little friction and heat as possible resulting in the preservation of more enzymes from the fruit or vegetable being juiced. They also don’t expose the juice to air in the process thus reducing the incidence of oxidation and preserving more nutrients in the end product. As a precaution, you may want to purchase a slow juicer with twin gears if you’re planning to use it to juice harder fruits and vegetables. Operating a slow juicer is pretty easy. You feed the produce in the chute and wait for your juice to come out. However, be reminded that cutting up your produce into smaller pieces is recommended to make it easier for your juicer to do its job. Also, don’t forget to remove the skin of your fruits especially if they’re lemons or oranges which have bitter tasting peels as they can affect the taste of your juice. As its name implies, slow juicers may take more time than any other type of juicers. Excluding the time spent with prepping, cutting and cleaning the juicer, it usually takes about 10 to 25 minutes for the appliance to extract the juice from the produce fed to it fully. Yes. Certain slow juicers can have five to nine functions aside from juicing fruits and vegetables. Depending on which model you get, you can use your slow juicer to make an array of foods from pasta to breadsticks. You can even make ice cream and sorbet with a slow juicer. The way slow juicers work can make it easy for gunk and extra fiber to get stuck in the appliance so cleaning them after every use is recommended. You can clean your slow juicer by disassembling it first and scraping off the leftover fibers. You can then wash each part by putting it under running water and setting it on a drying rack. If you’re still undecided on which slow juicer to get, here are five great models we can recommend based on features like speed, size, and gear type. The Kuvings BPA-Free C7000S is a great all-around kitchen companion for health nuts who want a multifunctional slow juicer. 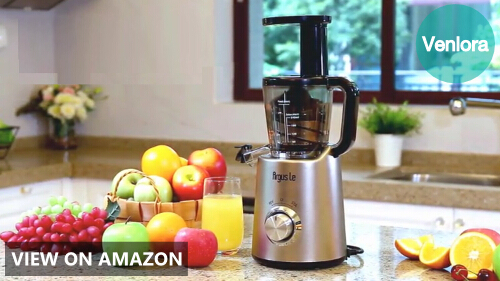 This vertical-type juicer can be used to make juices, smoothies and even fruit-flavored sorbets. Another great feature is its vertical orientation which helps in the overall juicing process. 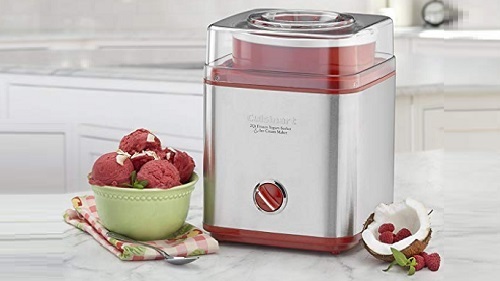 What more, this Kuvings slow juicer has a convenient 3-inch chute which is wide enough to take smaller fruits whole so you won’t have to spend extra time cutting up your produce before juicing them. Meanwhile, it has a speed of 60 RPM which means that little to no oxidation will happen during the juicing process to preserve as many nutrients as possible. The Aobosi Slow Masticating Juicer has every feature you’re looking for in a slow juicer. Let’s begin with its extra wide chute which measures 3.15 inches. It also has a second but smaller chute which is designed to accommodate smaller pieces of fruits and vegetables like celery and carrots. 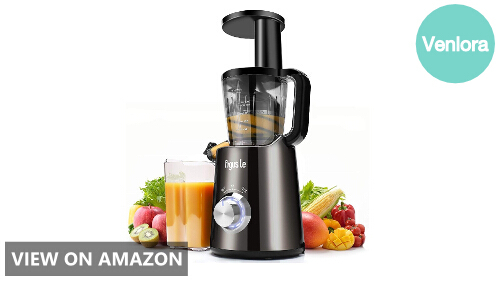 It also boasts of having one of the slowest RPMs in the market with just a speed of 47-60 RPM ensuring a 90% juice yield to get you the nutrients and enzymes you need from your produce. Another great feature of this Aobosi slow juicer is its drip-free designs which allow users to mix different types of produce. Here we have another slow juicer with a high juice yield. 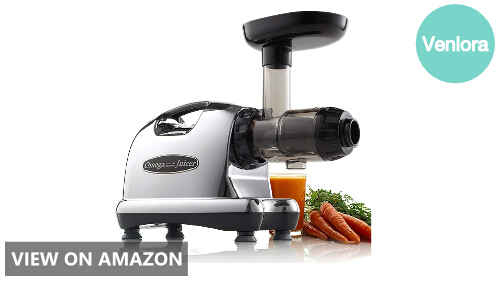 The Omega J8006 Nutrition Center slow juicer uses its heavy-duty auger to effectively press the juice out of any produce you put in it. 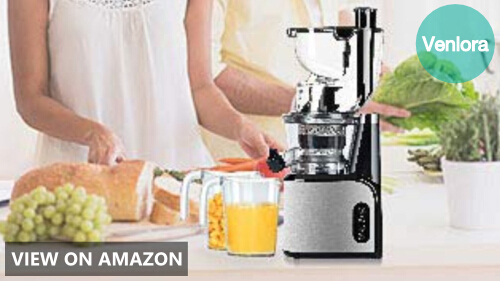 What more, this Omega juicer is designed to be compact and sturdy while packing on as many features as possible. 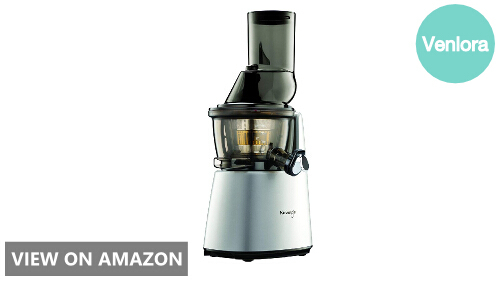 For example, you can use this juicer to make other foods like pasta. 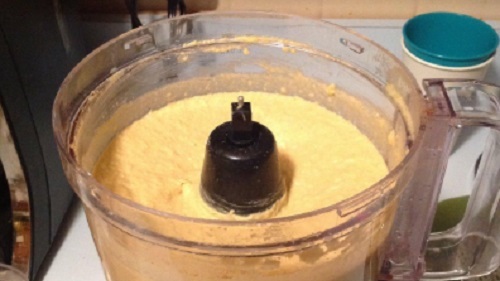 It can also be used as a food processor in some cases. Another thing users will appreciate is that the Omega J8006 has parts which can be washed in the dishwasher making the post-juicing cleanup process much easier and faster. The Argus Le slow juicer is a vertical-type model that offers every feature you may want in a juicer. 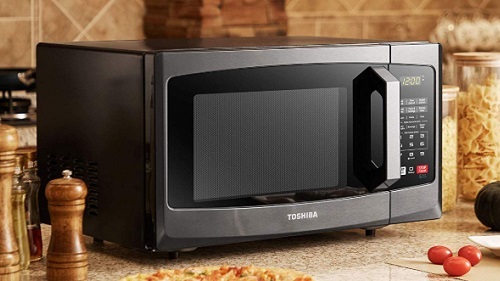 It comes in a classic sleek design which would complement every modern kitchen. But it’s main selling point is its promise of fast clean up of just around three minutes. This is possible because of the Argus Le slow juicer’s efficient design. It can take on a wide variety of produce from hard fruits to leafy greens and juice them effectively giving you a higher yield than other models. 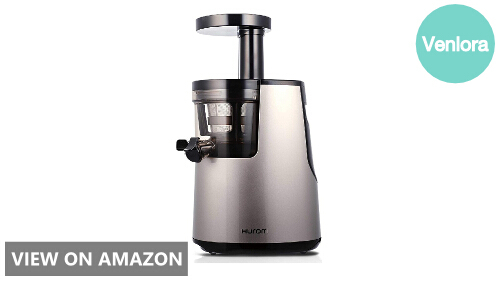 The Hurom Elite slow juicer is the latest model from this trusted appliance brand. 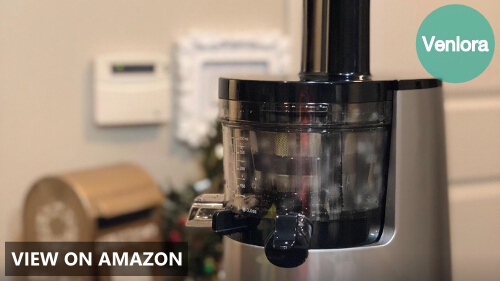 This slow juicer is designed to give you an easier juicing experience with its simplified parts and an advanced lock system. But its best feature is its multifunctionality which enables the user to make juices out of a variety of produce and make other kinds of food as well from pasta, marinades and baby food. It’s also worth noting that it can even process things as hard as nuts which means you can conveniently make cashew milk or almond milk with your slow juicer. With a wide array of choices available, how do you decide on which slow juicer model to buy? To avoid wasting your time and money on the wrong juicer, consider the following factors when shopping for a slow juicer online. Double vs. single augers: Slow juicers can either have double or single augers or gears. If you want a reliable slow juicer, we recommend that you get a slow juicer with double augers as they are more powerful and can juice more produce at a time. Vertical vs. horizontal: This refers to the orientation of the slow juicer’s build. 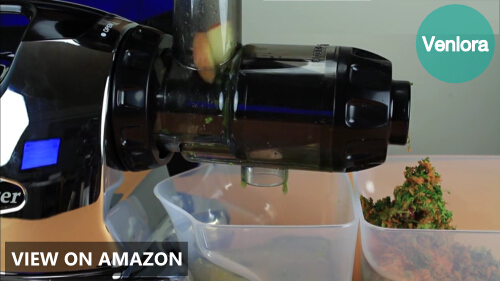 Vertical slow juicers are great if you want to save on countertop space. They are also more suitable for juicing wheatgrass and other leafy greens. Speed: Speed is measured in RPM. Unlike other appliances, you might prefer a slow juicer with a low RPM as it is more ideal with how slow juicers operate. These juicers typically have an RPM of 100 or lower. In contrast, centrifugal or fast juicers have an RPM of around 1,000 to 16,000. Size: Be sure to take the size of your kitchen tops when picking a slow juicer, or any kitchen appliance for that matter, into consideration. You should also consider how you’ll store the juicer when you’re not using it. Don’t forget to check the dimensions of the slow juicer you’re planning to buy when shopping online. Maintenance: Slow juicers can be a pain to clean. To cut down on clean up time and to prevent damages to your juicer, pick one with reverse motion mechanism as they can prevent the clogging of fibers in the appliance.